Call of Duty Players Get Ready for Summer-Themed Maps, Gear, Weapon Camos and Much More in Five-Week Seasonal Extravaganza. Call of Duty: Modern Warfare Remastered Available Now as Standalone Title on PlayStation 4. Say hello to your Summer "Playcation," as there's never been a better time to jump into Call of Duty. Starting today, Activision's "Days of Summer" seasonal community celebration begins on all platforms for Call of Duty: Infinite Warfare and Call of Duty: Modern Warfare Remastered, and on July 11th for Call of Duty: Black Ops III. The massive five-week Call of Duty community event features a bevy of in-game giveaways, where players will gain free access to themed maps, special playlists, game modes, new gear and weapon camos, and much more. Just in time for the new Days of Summer content, Call of Duty: Modern Warfare Remastered, a complete enhancement of one of the most critically-acclaimed games in history, is available now as a standalone release in stores on PlayStation 4 interactive entertainment system and via download on the PlayStation Network, with other platforms to follow. The game includes the full campaign and all the multiplayer maps fans know and love from the original Call of Duty 4: Modern Warfare, all released with stunning high-definition visuals. Call of Duty: Modern Warfare Remastered is rated M for Mature by the ESRB (Blood, Intense Violence, Strong Language), and will be available at an SRP of $39.99. 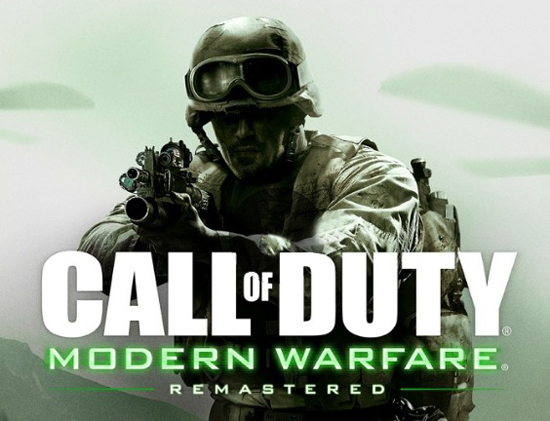 Additionally, for one week only beginning on June 27th, Sony's PlayStation Store is discounting the Modern Warfare Remastered Variety Map Pack for PlayStation 4 to a suggested retail price of $9.99 (actual retail price set by Sony, subject to change). The pack includes four classic maps, remastered in full HD glory, along with 10 Rare Supply Drops.